I must confess, I used to be a water hater. I grew up drinking Kool-Aid and cream soda. I dropped the sugary drinks when I was about 13 and have been a staunch water drinker ever since. But for some reason lately I’ve been really enjoying beverages with a bit more… oomph? I’m not really fond of juice (too viscous and sweet for me… and it has a lot more sugar and a lot less nutritional value than many people are aware of! ), but I do enjoy flavored waters, teas, and the occasional coconut water. During the day, I drink a lot of green tea, but after about 5 pm I generally cut myself off from caffeine. Iced herbal teas are a great tasting and low calorie alternative to juices. My current obsession? Hibiscus tea! Hibiscus tea is naturally sweet and tart, not to mention it’s natural bright fuchsia coloring makes it lovely to look at. 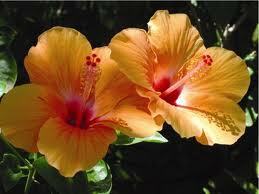 Hibiscus is also rich in vitamin C and a natural coolant for your body. There have even been studies showing that drinking 3 cups of hibiscus tea a day can help lower blood pressure (see a summary of the research from Bastyr University here). I love it when delicious things are good for me! Lemonade is a summertime classic, but can often be heavy on the sugar and light on the lemon… not so great for hydration to say the least. 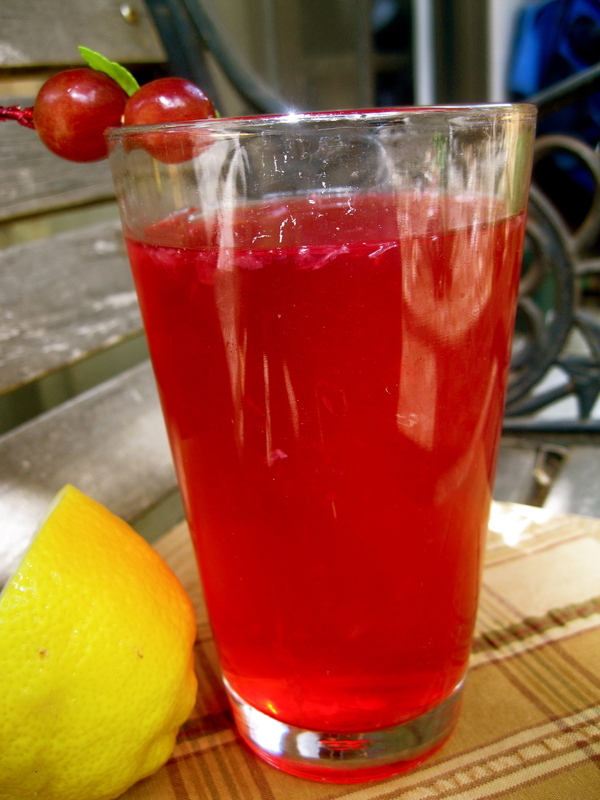 My hibiscus lemonade is sweetened with a touch of stevia, a natural and sugar free herb that tastes sweet and makes a great sugar substitute. You could also sweeten with agave and still keep the overall sugar content low because of the natural sweetness of the tea. 1. )Brew the 4 tea bags in 8 cups of pure water, transfer to a large pitcher and chill completely. 2. )Add the fresh lemon juice and stevia powder and stir to mix completely. Pour into a chilly glass with ice and enjoy! This also makes amazing Arnold Palmers! 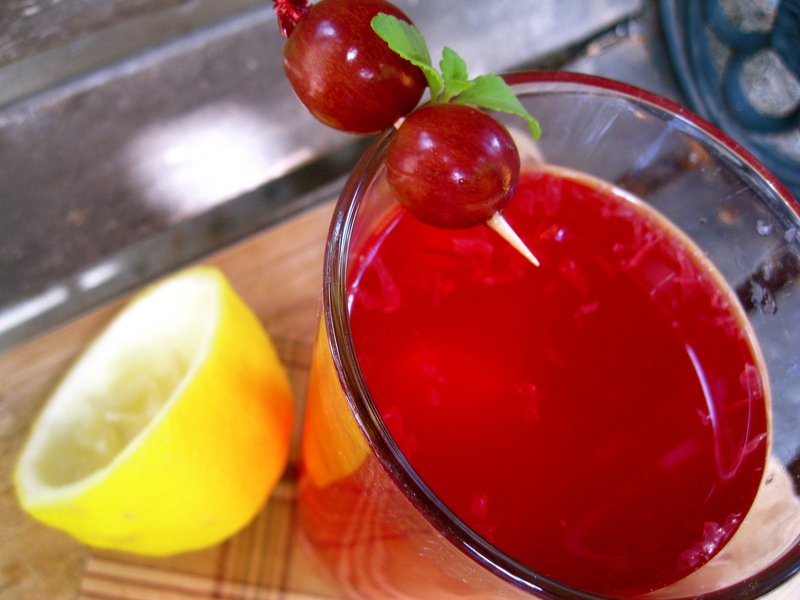 Just mix equal parts iced green or black tea with the hibiscus lemonade. I haven’t tried it yet, but I’m willing to bet this would also make a great cocktail mixed with a little gin or vodka. I was lucky enough to win a NuNatural’s stevia package from a giveaway hosted by Laura and have been loving all the amazing stevia products and enjoying replacing the sugar in many favorite recipes. Stay tuned as I hope to host a giveaway here soon so you can try out these products too! What are some of your favorite summer beverages? Have you used stevia before? You take awesome pictures, BTW!